When my daughter and I began the task of planning our Box Lunch Bridal Shower, if we looked at the big picture we were quickly overwhelmed. I would ask questions that had no answers and she would do the same thing. So out of necessity, we took one thing at a time. I wish we would have had a Bridal Shower Checklist so we could prioritize all the little details. We made one without realizing it with our lists and notes…so I combined everything into a free printable that will hopefully make hosting a party like this a bit easier. One of the first things on the list, and really fun, is picking out the invitations. We went with a custom printed design but there are loads of options available. We were careful to choose colors and graphics that coordinated with the wedding. This also gave us a starting point for the favor and decorations. This is our actual invitation that we ordered from my sweet friend Bernadette of Meyer Market Designs. She worked with Elizabeth until it was perfect. The card stock was very thick and the print was crystal clear. We couldn’t have been happier. 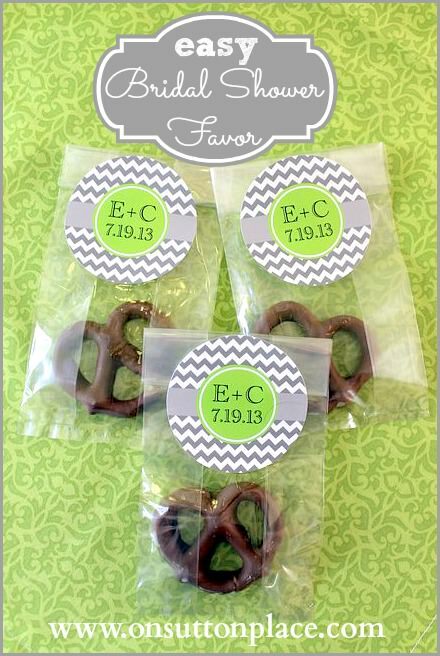 We then used the invitation graphics to design a label for our favor bag. We bought chocolate covered pretzels from a local ice cream shop, popped them in a cellophane bag (aff. link) and topped it off with a custom label. Easy peasy. Well…I think that just might be all I have to say on the subject of bridal showers! If you have any questions I’d be more than happy to try and answer. We certainly aren’t experts but we learned a thing or two along the way. 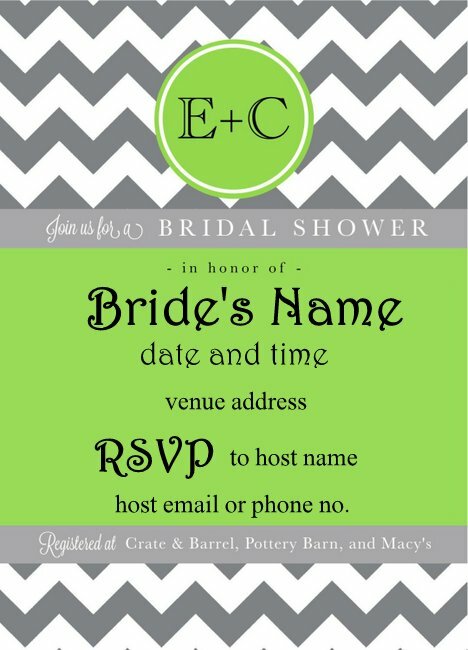 Can you tell me where I can purchase the invitations that you used for the bridal shower? They are perfect for a shower I’m planning next month. What a great checklist! You are a great hostess giving people 6 weeks notice for a shower, my guests are lucky if they get a month! 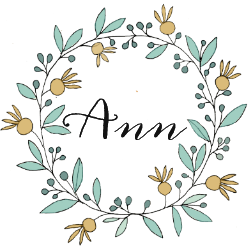 How fun to plan everything surrounding a wedding, I love the idea of pretzels and the pretty graphics make it all so special! Such a great checklist Ann! !…and I love the custom treat bags!!! I’ve enjoyed seeing your posts about the bridal shower. The printable checklist will come in handy for many folks and could be adapted to almost any party. You two did a super job hosting! I have certainly enjoyed your posts about the bridal shower. It has given me some great ideas to possible use for one we will be doing for my daughter’s best friend next year. She already mentioned having it at my house that overlooks the Ohio River. I think it would be perfect to do the lunch boxes and keep things beautiful but simple! You two really did such a fabulous job with this shower and the details were well executed! I applaud you!